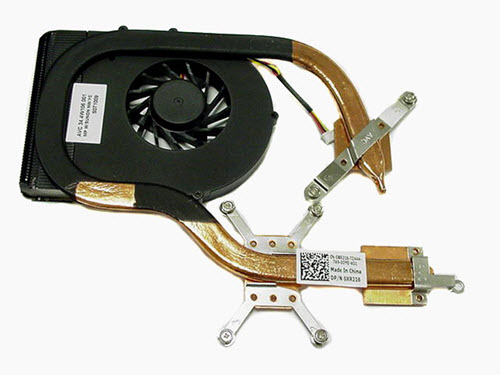 The fan in your laptop is used to cool down your Processor or CPU temperature. It is located mostly at the left bottom side in your laptop. It throws or blows away the heat generated from processor through the heatsink vent located on the side of the laptop. Generally the laptop fan is not so noisy but if there is some problem with it or with your laptop then it can be very loud, and if you do not rectify the problem then it can cause serious damage to your laptop. Here are top solutions that you can try if your laptop is making loud noise, not working and heating up. High CPU usage makes your laptop CPU fan run continuously which causes lot of noise. 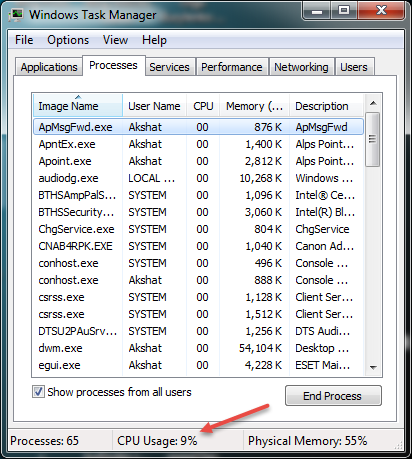 Open your windows Task Manager by pressing CTRL+ALT+Delete and see which Process is causing high CPU usage. If the culprit process is found then click on it and End the process. If necessary uninstall the application which was causing such processes to consume very high CPU usage. CPU usage of 70% – 100% continuously without running any major application or program is not normal and you must take appropriate action to bring the CPU usage down. Malwares and Viruses are also the main cause for high CPU usage, so make sure your computer is free any kind of malware or viruses. I recommend using ESET NOD32 Antivirus and Malwarebytes Anti-Malware to keep such kind of malicious programs away. A dirty and dusty fan is also one of the major causes for making noise. 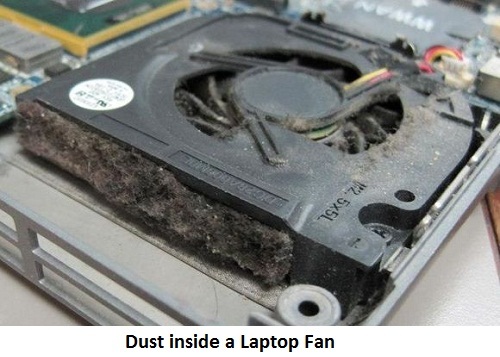 If the fan is too much dusty then it will not work or work slow and thus your laptop will shut down in the middle of any work because of overheating. 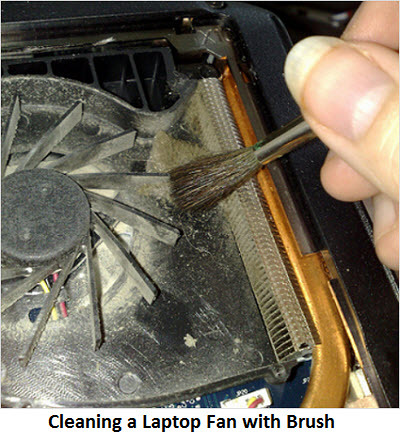 Open you laptop back cover and clean your laptop fan using a brush and then use blower to move away all the dust and other particles from your fan and its heat sink. It might be possible that you laptop fan has gone faulty. It may happen if the bearings in the laptop fan become damaged or they get dried up. If the fan bearings have gone damaged then you have to replace the fan otherwise just lubricate the bearings in the fan. You can use some light density oil like sewing machine oil to lubricate the fan bearings. It would be great if you can find the recommended lubricant for lubricating your laptop fan from your laptop manufacturer. For replacing your laptop fan completely take your laptop to the authorized service centre and get it replaced there. If you can do it yourself then make sure you purchase the right fan otherwise you may face serious problems in near future. Sometimes a faulty motherboard may be a cause of loud noise from your laptop fan. If your motherboard is not throttling the fan speed & CPU clock speed and providing it more voltage, then this will cause the fan to spin at its full capacity and thus it will produce loud noise. To check this use tools like Speed Fan and note down your CPU fan RPM and voltages. If they are higher than normal then it a sign of problem.